Wanna see a really big hole? Obviously, this is the beginning of construction of Sewall Hall. The building makes a lot more sense when you see this. Suddenly, I understand why you enter it on the third floor. I wonder why they built it this way. 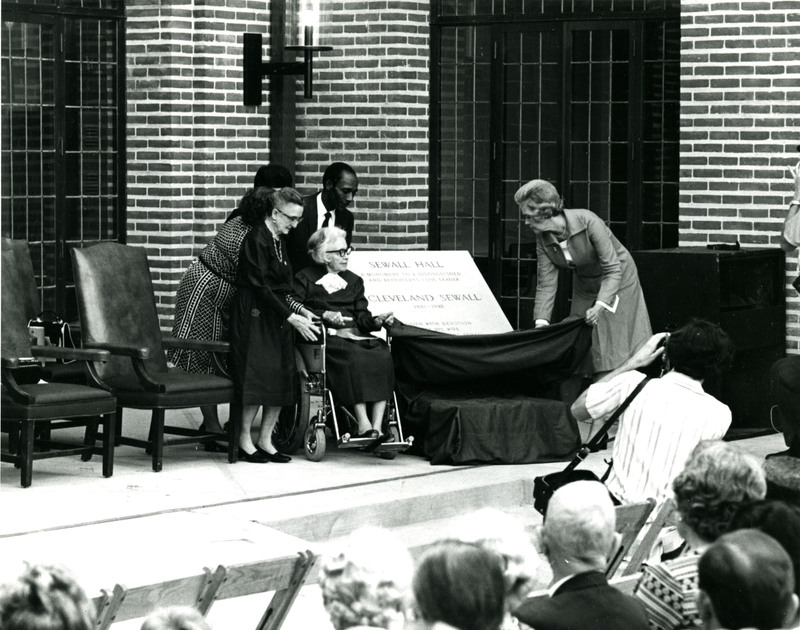 That’s Mrs. Hackerman at the right helping unveil the dedicatory plaque. You can also see the back of Professor Tsanoff’s head in the audience. He would have taught Mrs. Sewall. 13 Responses to Wanna see a really big hole? You probably already know this, but when they built Sewall Hall, they couldn’t find stone carvers to match the carving on Lovett Hall, so they were imported from Italy (if I recall correctly) to do the work. Sewall was built that way in order to keep the east end of the Quad symmetrical and the footprint similar to Physics Laboratory while getting more space than one could get in a three story building. Yeah, I understand the part about keeping the Quad symmetrical. What I don’t understand is the decision to put two extra floors underground. It seems a bit quixotic given our climate and water table. One would think that the constant sound of the sump pumps’ discharge into the storm sewers and the floods later in the ’70s would have sounded an alarm for caution in building below the water table. Yet, weeks before tropical storm Allison, a plan was approved to bury even more floors of a building containing fragile contents. Fortunately, the damage caused by Allison in the area caused that decision to be reversed. My freshman week included a quiz on where some perhaps illogically-located lecture halls were. Sewall 301 (located on the ground floor) was one. Another was the hall between Bio and Geo which had a Bio number (was it Bio 241?). Bio 142 seems more likely. Ah, the things you forget . . . 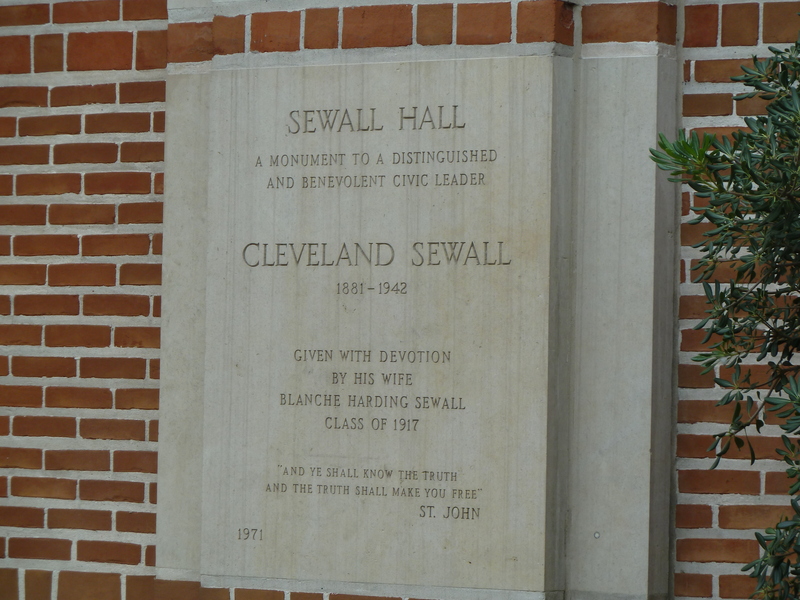 I remember the construction of Sewall during my time at Rice. Yes, it was a very big hole! And, yes, the exterior design had to match the original buildings, and yes, they had to “import” stone masons. As an architect, I am very pleased that this style was mandated for the new building. Otherwise, given the state of design in the late 1960’s it would have probably been an unfortunate addition to this extremely important corner of the quad. Just look at what our professional “created” for the Fondren Library design! 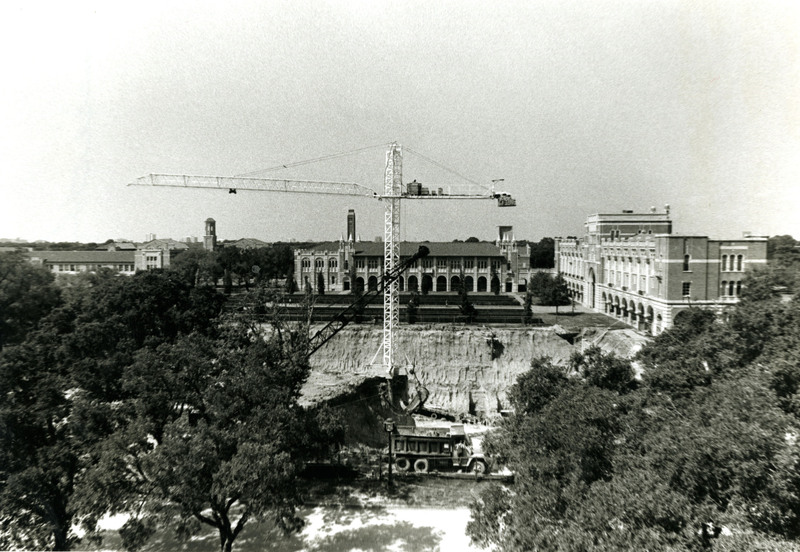 I also have fond memories of the Sewell construction during my time at Rice. We had a lot of fun “playing” in the not quite completed building late at night (statute of limitations has probably run out, right?) It was the first really new building any of us had seen on campus and I remember being very impressed with it. The view from the roof beam at the end nearest Lovett Hall was rather spectacular, wasn’t it? The story I heard at the time was that they wanted to use the funds from two separate bequests, one for a five story building, and the other to match the Physics building. By burying it and numbering the floors the way they did, the requirements of both bequests were satisfied. The lower three floors of Sewall Hall were the first home of the Shepherd School; I spent plenty of time there. The common understanding in the early 80’s was that Mrs. Sewall’s bequest specified a Physics Building mirror but that five floors were needed. I haven’t been over there in a long time but there used to be an oil portrait of Mr. Sewall wearing a spectacular striped jacket and holding a lap dog. Worth a look if you’ve never seen it and it’s still there. 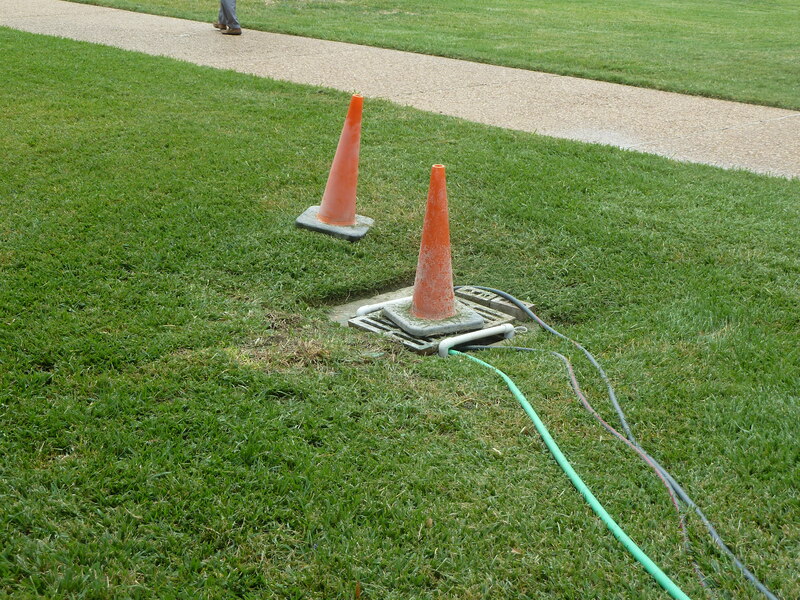 Another oddity about Sewall Hall is that in the quad section, the restrooms (at one time, anyway) had concrete sink basins. I’ve never seen that anywhere else on campus.